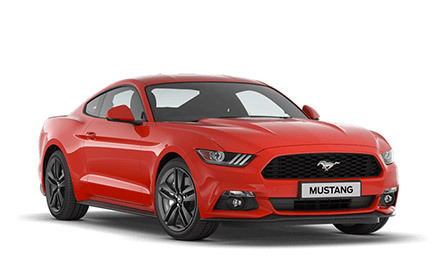 The New Ford Mustang the definitve iconic muscle car; powerful and dynamic and now available in the UK for the first time. The Ford Mustang will be available in right hand drive as either as a Fastback or Convertible version. The mustang will be available with a choice of two engines; the 2.3 Litre Ecoboost Engine producing 314PS and 320lb/ft of torque and emissions as low as 179g/km CO2. The 5.0 litre V8 option delivers a massive 418PS with 524Nm of torque, providing startling acceleration and that distinctive V8 engine note. You can see a comprehensive breakdown of Ford Mustang performance specifications here.